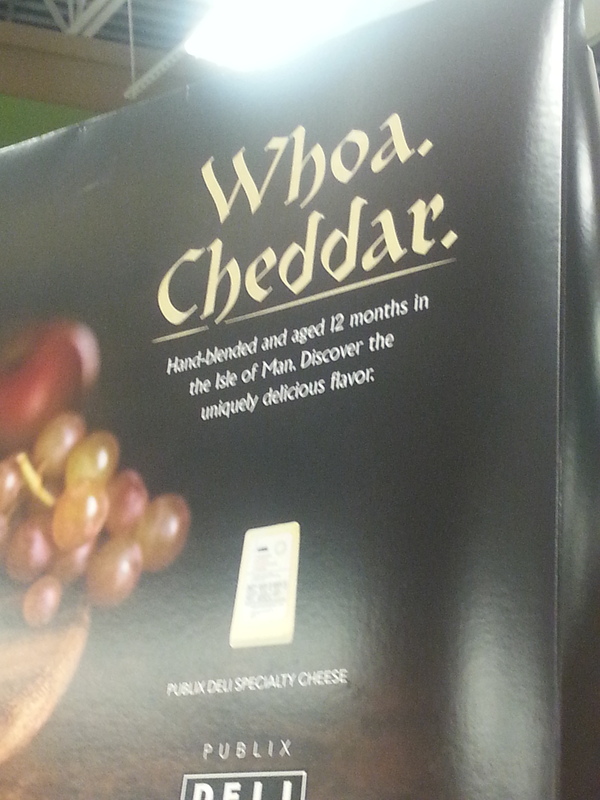 This is an ad at Publix (our southeastern US grocery chain) for a great new imported cheese. It’s actually really good cheese – but where to begin? The TV ad features a woman telling her partner that this cheese is from an island just outside the UK (mmm, okay, I guess Isle of Man is sort of outside the UK, even if it’s a Crown dependencey). Then they give the name. Cheddar, with a capital C. From the Isle of Man. I’m just choosing to follow the path of being glad that the US is finally realizing that cheese is not supposed to be a block of garish orange rubber. Or sticky, slippery slices of waxy orange stuff wrapped in plastic sleeves?